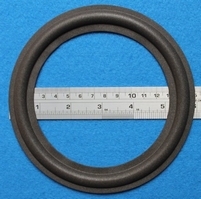 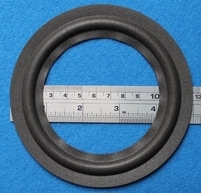 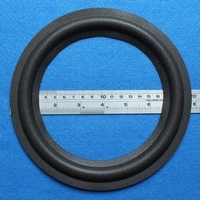 Special ring, fits VIFA 21F WB woofer, different from other VIFA rings! 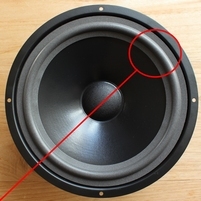 Special surround to restore your Vifa C13MH-08 mid. 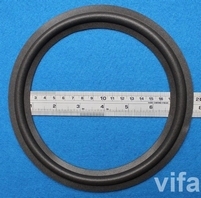 Special surround to restore your Vifa C13MH-09 mid. Special foam surround for a slightly bigger speaker cone. Special ring, fits this VIFA woofer. 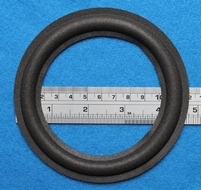 Picture: after repair. 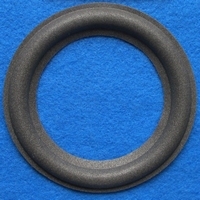 Surround color is lighter than the original. Special ring, fits this VIFA woofer, also available in rubber.